Need a large capacity van for the day? 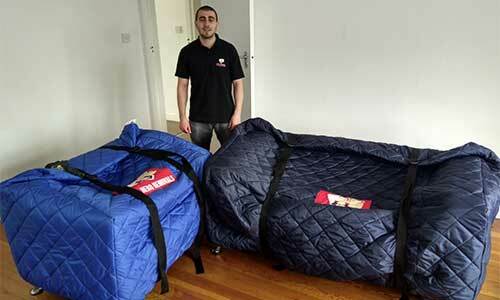 Hero Removals of Brighton are here to help with a fully insured, friendly and reliable service. Our reputation is incredibly important to us, which is why we go above and beyond to make sure that our customers are happy. If you’re arranging collection or delivery of a large piece of furniture, we can assist you by taking it apart and reassembling it again at your destination. When our 3.5T van arrives, it will be equipped with protective quilted covers and straps so that your items are kept free from damage. We can also provide bubble wrap and export strength brown paper for fragile items such as mirrors and glass cabinets. With over 8 years of experience behind us, our team will not let you down. Don’t just take our word for it though, read through what previous customers have said about us over on our Yell page. Our Man with a Van service proves to be great value for money – Unlike many of our competitors, we only require a 2 hour minimum hire period with all fees being carefully outlined before we begin. Our full list of prices can be seen here. We work with both domestic and commercial clients. 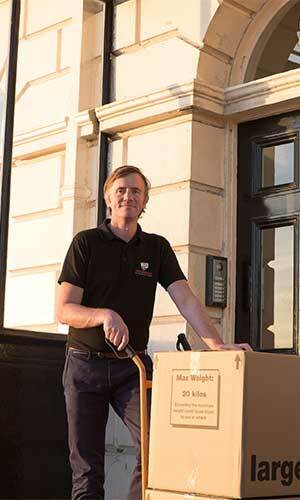 No matter what you need moving, our expert team will make sure that it arrives safely. Hero Removals can also clear unwanted items upon request. We have flexible working hours which allow us to find a collection time that is perfect for you. Contact a member of the Hero Removals team today to take advantage of our efficient and cost-effective service. Quotes can be provided over the phone or by completing the form at the bottom of this page. No deposit is required for our services and payment can be made via cash or card following completion of the job. Whilst in transit, all items are insured by Basil Fry, the UKs leading removals insurance broker. We have a ‘risk all’ insurance policy, meaning we do not need an inventory list or any type of signed documentation prior to your move. All situations are accounted for, allowing you to have total peace of mind. Payment is accepted by bank/credit card or cash, immediately after job is completed. Get in touch with us today to book the perfect time slot for your move! You can give us a ring on 07500933293 or complete the form located at the bottom of this page. No deposit is required when using Hero Removals, with all payments being made with cash or card after your job is completed.